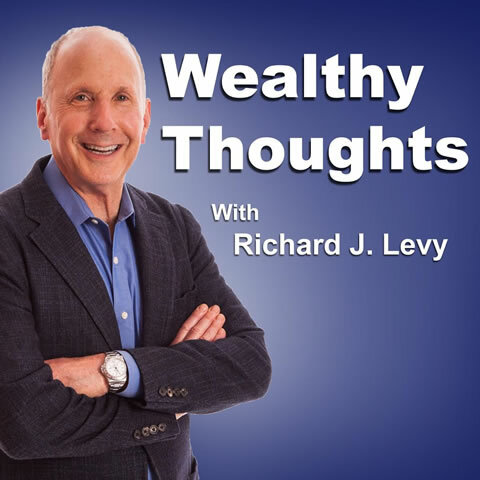 In these episodes of Richard Levy’s radio show, listen to guests share their stories of how they survived challenges, their thoughts, their beliefs and the specific actions they took to make it all work. These examples of success will encourage, inspire and empower you to follow their lead in implementing wealthy thoughts! Episode 91: Some thoughts create wealth. Which ones? Episode 84: Make a Wish. Then Make It Happen! Episode 82: If You Can’t Take it With You, Then What? Episode 78: Dream your Life and live your dream! Episode 76: Why Are You Going At It Alone? Episode 72:Woo the customer, get rich! Episode 49:Are You Living or Just Existing? Episode 43:Be Careful What You Wish For, You Just Might Get It! Episode 38:Can Shelly attract success and love with so much negativity? Episode 37:Overcoming Failure and Rejection and then Success! Episode 36:Act As If … Change Your Life! Episode 29:What Holds You Back From Success? Episode 24:Career, heath, dating life – how YOU can have it all! Episode 1:How to Have a Good Day – Every Day!